Most college students are in one of two boats when it comes to mobile phone service: 1) we are still piggybacking off our family’s shared plan and hoping that our younger siblings don’t use up the rest of the shared data streaming TikTok videos, or 2) we are paying way too much for a phone service that includes unlimited everything only to scroll through social media all day, send some texts, and open the phone app a few times a month. For those of you who are in the second camp, or are soon to be in it, I wanted to discuss two alternatives that are intriguing and could end up being your next phone carrier. Many people have not heard of Visible or Ting, but you should really at least a consideration them. Here are my first impressions of each, and how I think they can change the way we think about mobile phone service going into the future. No stores, no contracts, and an app that allows you to manage the whole experience make Visible a unique player in the mobile service provider space. Eliminating all human interaction and providing everything through an app/website seems like the millennial thing to do, but will it take off with millennials? Only time will tell. Big companies such as Chase are betting on it with new brands such as Finn by Chase, so it makes sense that Verizon would try their fare at this product proposition. The service runs on Verizon’s 4G LTE network, but don’t expect to reach top speeds on par with America’s largest mobile carrier. Visible will cap your speed at 5Mbps, whilst Verizon currently allows for speeds much faster than that. Honestly, it won’t make much of a difference unless you are streaming video, which will be capped at 480p, aka the resolution that TV’s were running 15 years ago. If you are like me, though, this won’t make much of a difference, as most of my mobile Internet usage is casual social media usage whilst I’m out and about. 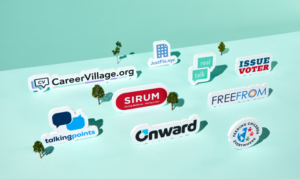 Another aspect of Visible that I can appreciate is Visible Connect, a new take on corporate social responsibility that aims to partner this startup (of sorts) with other startups in the tech industry that are making a difference in local communities. From increasing civic engagement to helping underprivileged members of society launch their careers to providing adolescents a new way to support each other in the age of toxic digital harassment and bullying, Visible is bringing visibility to the next generation of world-changing nonprofits, and that is very admirable. Visible offers one $40 per month plan. This plan includes unlimited talk, text, and data, with no penalty for extensive data usage. Visible’s website does warn that speeds will slow down when the network gets congested, though. This seems like a pretty attractive option and could make sense for many people. Will this catch on, though? Also, why isn’t Verizon advertising this brand like how T-Mobile is with Metro by T-Mobile? Who knows, but it is still a relatively young company, being founded only last year. Ting, an independent company using Sprint’s towers, has been around for a little bit longer than Visible and offers a completely new way to think about phone service. The company started in 2012 and currently has over 250,000 mobile subscribers. 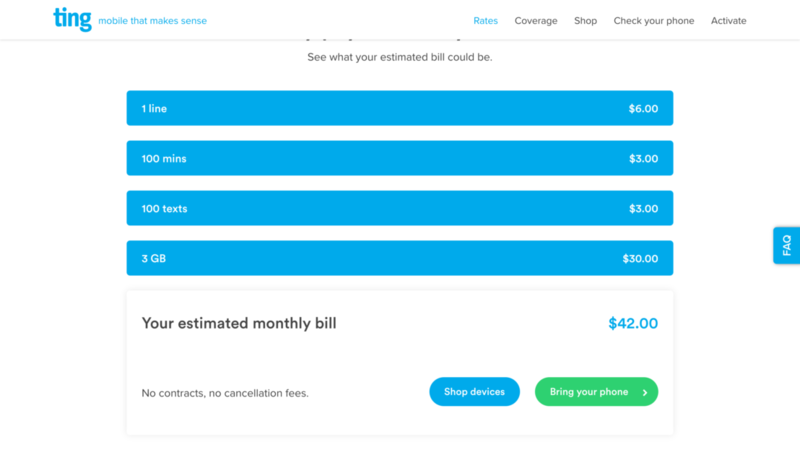 Ting operates under the idea of phone plans based on usage. Instead of paying $40 per month for unlimited everything, maybe you end up paying $30 one month, and $50 the next, and $20 the month after that. You really only have yourself to blame for your bill at the end of each month, and that can be either liberating or quite frightening, depending on who you ask. I decided to try the company’s “estimate my rate” feature on their website, and I actually ended up having a more expensive bill than what I pay now with Virgin Mobile. For 100 talk minutes, 100 text minutes (most of my texts are on iMessage so that actually counts as data usage) and 3GB of high-speed data, I could expect to pay $42 per month, which is $12 more than my current $30 per month with Virgin Mobile. Granted, Virgin only grants me 2.5 GB of data per month, so it’s not exactly a fair comparison, but close enough. I might be an extreme case, though, as I am one of the only people I know besides my family members that use Virgin Mobile. Similar to Visible, Ting aligns itself with a unique corporate social responsibility. Ting is all about customer freedom and maintaining net neutrality. The company pledges to never block, throttle, or otherwise interfere with the service of its customers. 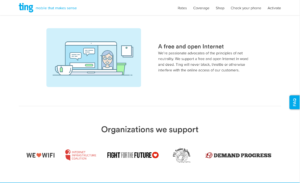 The mobile service provider also supports various organizations supporting internet freedom and equal accessibility, such as the Internet Infrastructure Coalition and Fight for the Future. Ting makes sense on paper, but in practice seems to not make much of a difference when it comes to mobile phone service costs. For many, it may even cause more stress as it forces you to self-monitor data usage to ensure you don’t fall into the next bucket of usage and thus face an up-charge. Maybe this is why the carrier hasn’t completely caught on just yet. Regardless, it is still great to see, and I hope to see this concept further developed in the coming years. I, like many others, tend to think that competition almost always leads to innovation. In the tech industry, innovation is a constant, and competition is fierce. 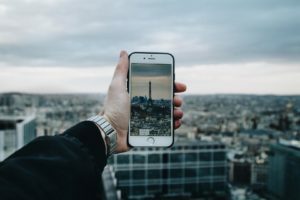 It is no surprise to see more and more players entering the mobile phone service provider space, especially considering how ubiquitous the smartphone is within today’s society. It will be interesting to see how these two fledgling carriers evolve and adapt in the coming years as 5G redefines how we look at mobile phone service. For now, though, we have an abundance of choices, and who knows, maybe one of these two providers may be the carrier for you.